Barnaby Joyce’s Federal National Party has been pushing decentralisation as a key plank in its vision for regional Australia and is agitating within the Coalition for a more proactive Federal Government engagement with regional development. Just before the mid winter recess, Australia’s House of Representatives appointed a multi-party Select Committee on Regional Development and Decentralisation to inquire and report on best practice approaches to regional development, the decentralisation of Commonwealth entities, and supporting corporate decentralisation. Chaired by Queensland regional MP the Hon John McVeigh (Lib Groom) the Committee has produced an issues paper and is due to deliver an interim report by 31 December 2017 and a final report by 28 February 2018. On Monday 7 August I joined a number of other colleagues working in the field of regional development as members of an expert panel which provided testimony to the Committee at Parliament House. Transcripts of that meeting are available from the Hansard web site. The Committee is now in the process of conducting hearings in a number of regional centres. Below is the text of a written submission to the Committee I prepared on behalf of the Institute for Resilient Regions at USQ and submitted in September 2017. The Institute for Resilient Regions is a specialist and strategic research initiative of the University of Southern Queensland focused on research collaborations with industry, community and government. We envisage and work for a regional Australia that is innovative and thriving and a great place to work and live. Launched in 2014, our Institute’s mission specifically is to deliver research excellence that enables resilient thriving regional communities across Australia. Accepting that there are embedded and largely immutable constitutional barriers to regional development in Australia that arise from the shape of our Federation, the second consequential consideration shaping our prospects derive from the time and world in which we live. As is referenced in the Inquiry Issues Paper, most informed participants acknowledge that the forces of globalisation, technological innovation, demography and climate are shaping the future in ways beyond the control or remit of any one government. These same factors are also having a far greater formative impact on the adaptive capacities of most regional economies than are, for example, droughts or mining booms. Just like everywhere else, regional Australia is and will be shaped by the major mega trends characterising life in the first 21st century. increased environmental risks as a result of further degradation of natural capital, loss of biodiversity, climate change and bio-security. 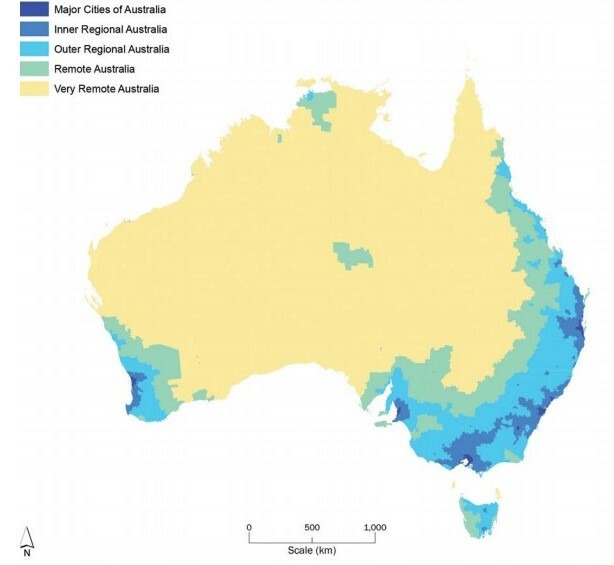 The adaptive capacity of any particular Australian region is likely to be determined as much by how it is enmeshed with the world beyond as by what it does locally. That all said, governments at all levels have a role to play in ensuring a sustainable regional Australia. In just over two decades it will be part of a 9 billion person world of globalised markets and competition. There are many possible or plausible futures for a region. Regional development and transition is the outcome of a complex interplay of a myriad of factors, reflecting the various sources of capital in play as well as local leadership and decision-making and community understanding and involvement in developing the narrative and exploring the possibilities. Compounding these considerations is the magnitude of innovation happening more generally in the world which bears directly on the future for regional communities. The human capital factor is crucial to building sustainable development, making regions resilient and achieving a preferred future for the people. In itself resilience… is not an end, but is actually a function of a thriving regional system. To build resilience, crucial enabling factors in a region or community have to be assured and developed[ii]. Successive Federal Governments have acknowledged the Commonwealth role in regional development and much has been done to support both the subsidiarity and equity governance principles. Some of the foundation is there—the Building Better Regions Fund to support regional infrastructure and community building projects, the Mobile Black Spot program to improve mobile phone coverage and competition in regional Australia, the Regional Jobs and Investment Package to help regions to diversify their economies, stimulate long-term economic growth and deliver sustainable employment and Australia’s Free Trade Agreements which provide opportunity to build our trading relationships— but the Australian Government must also ensure that it supports regions to engage in their futures, listens and responds to diverse circumstances and provides resources to ensure that it meets the needs of regional Australians[iii]. If the 6 million Australians living beyond the metropolitan orbit are to make the most of future opportunities, something more is needed. And that is a collaborative partnership process that drives grass roots innovation while achieving alignment of all three levels of government as well as the private sector and community in projects that are strategic, enabling and connecting. 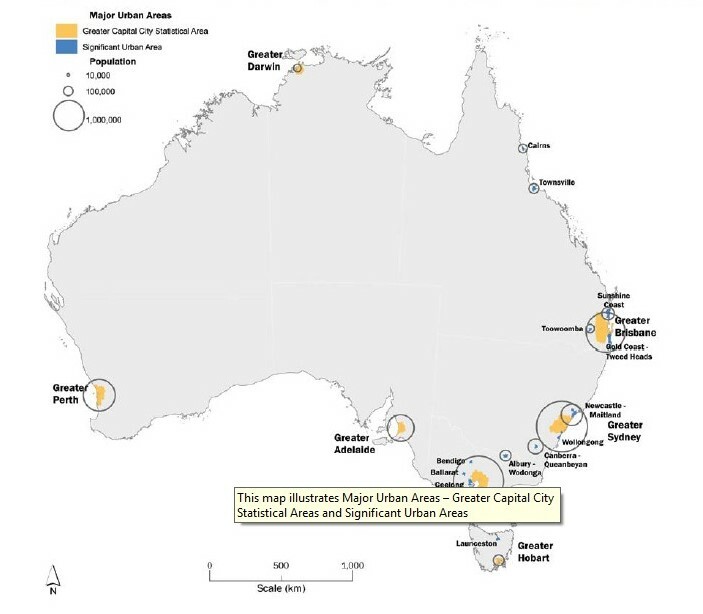 Essentially, regions in Australia need their own version of the City Deals. It would be an approach that recognises that regions are multidimensional, composed of elements which are inter-related and best addressed as a system. There is not an economic development pathway, for example, that can ignore the social and community development pathways. The guiding methodology should be partnership and the base assumption a recognition that only regions can make their futures. Others, including government, can contribute but cannot do it for them. ‘post-deficit’ or ‘post-scarcity’ thinking when framing needs, opportunities, capacities and partners. Queensland’s Advancing Regional Innovation Program (ARIP) shows what can be done when relatively small amounts of seed capital from government ($500k per proposal) are used to stimulate creative collaboration in regions across the state, leading to new strategic partnerships, and in many cases new ways of thinking. Notably, in responding to the ARIP opportunity, each region has taken a different approach appropriate to its needs and capacities – from education pipelines for disadvantaged youth in the south east to new digital hubs for entrepreneurs in outback western Queensland. But all are collaborative, multi-partied, and capacity building. As a regional university engaged with our regions, the University of Southern Queensland is involved in four of the ARIP programs, highlighting the constructive role tertiary education and research can play as partners in regional development. Successful government facilitation programs of regional development recognise, respect and understand the inherent diversity of regional economies and communities. There is no one regional Australia. To design and deliver government policy and programs around the notion that all regions are ‘equal’ is financially wasteful, unproductive and frankly, a “red herring”. This is not to suggest that Commonwealth policy should be about picking ‘winners and losers’ among Australia’s regions. Rather, policy and programs should be articulated with clear goals and performance criteria and nuanced or tailored to fit applicable circumstances. The expectation on the grounds of “urban parity” on “equity” in the provision of a range of services in rural and remote Australia simply defies geography, economics and demography and is simply not affordable. Further, when set against broader trends, as Collits and Rowe identify, such attempts “to achieve spatial equality of outcomes among regions” are in fact “obsolete”[vii]. In the foreseeable future, there will be large parts of this the most climate variable continent where, at best, there will be opportunities for periodic rural and resources economy and more relevantly in vast tracts (as The Pew Foundation has identified) managing the needs of the biosphere – Australia’s natural treasure its ecosystems and biodiversity. Conversely, pouring billions into the amelioration of some of the urban concentration issues now bedevilling our major cities (housing, transport) begs consideration of the opportunity cost and benefits of looking for regional development solutions to some of Australia’s urban challenges. Recent rises in the price of housing in cities like Wollongong suggest that household markets in the satellite districts of metro Australia are already doing the sums. One thing that is central to the future of all, however, is eliminating the digital technology divide between city and country. If there is just one thing above all else the Commonwealth Government must do for regional Australia, it is to ensure affordable and widespread access to high speed digital communications. Without it, talk of deepening and diversifying regional economies as well as decentralising government and industry is fanciful. Recent media reports suggest, for example, that only half of regional Queensland’s tourism industry had the capability to take on-line bookings. One of the chief reasons was the reliability and slow speeds of regional digital communication. If today’s industries in regional Australia are being hamstrung by poor internet and communications facility, there can be no real prospect of a healthy regional Australia participating fully and competitively in tomorrow’s economy. Without economic growth there will be no new jobs and without the jobs there will be fewer newcomers to regional communities. At the very least, such a scenario affords no escape for innovative businesses from the economic gravity of metropolitan Australia. There is ready opportunity for the core fibre and satellite infrastructure to be complemented by distributed transmission and repeater systems. The policy corollary for the Commonwealth Government here is to ensure a competitive and diverse telecommunications sector enabling cost-effective innovation appropriate to regional Australia. For regional Australia to exploit the opportunities of the future, it must be equipped with the basic infrastructure and tools that give it access. Growing international markets for Australian food, fibre and resources assure us of a continuing market for traditional outputs, but the future economy will be largely a knowledge economy and to position Australia and especially regional Australia in that opportunity, regional entrepreneurs are needed. Regional economies seeking to create new businesses and jobs cannot afford to be indifferent to the greatest growth opportunity which is the explosion of services in the global economy. Another mega trend that Commonwealth policy for regional Australia must deal with more comprehensively is climate change. This is a global challenge already impacting fundamentally Australia’s regional social and economic development[xi]. By 2050 drought yielding El Nino weather systems are projected by CSIRO to double in frequency[xii]. Managing environmental and resource issues in the Murray Darling Basin will continue to present as a ‘wicked’ and vexed national dilemma requiring possibly constitutional reform to see workable governance put in place to reconcile sustainably the multitude of conflicting demands put on our nation’s most important river system. Meanwhile there is much to be done assisting regional communities undertake the transition to law carbon economies while also simultaneously adapting to climate change. Our essential argument is that these are best addressed practically at the level of the regional physical, economic and social system. The aim should be to achieve resilient regions when dealing with the disturbance of climate change and it will require, for example, agricultural innovation that extends beyond optimising productivity in existing models of production to integrating eco-efficiency, carbon sequestration and environmental values as market valuable factors. The interest of more than 16,000 farmers in the Federal Government’s farm cooperatives and collaboration program shows the importance of emphasising new business models enabling farmers to build adaptive capacity, achieve economies of scale, realise new forms of business and value chain connectivity. Inter-generational succession in the agricultural sector is a defining socio-economic process for many regions. Our farming is highly productive and competitive but can be improved even further. It follows that assisting young farmers become the leaders of our primary sector assists the general cause of innovation and longer term social sustainability in the production of food and fibre. Regional development outcomes can also be achieved through the Commonwealth assisting primary producers achieve higher levels of environmental sustainability in their operations through value chain integration, market focussed performance standards, and production efficiency. In its submission to the Productivity Commission earlier this year, the Regional Australia Institute noted: “The evidence is strong that while economic endowments are important, so too are non-economic endowments of regions including social, cultural and political capital… [in framing]… strategies to facilitate successful transitions”[xvi]. Improved quality of life for many regional Australians starts with improving their health and while this is demonstrably helped by people having jobs or opportunities for jobs, it is also assisted by reducing impediments to the better utilisation of the healthcare system. For many regional patients the experience of advanced clinical health care is routinely marked by travelling long distances, life disruption, and social and familial dislocation, as well as sometimes personal disorientation and demoralisation. In other cases, it is not the impact of travel, but the strain of personal isolation, limited resources, social stigma and lack of support that bears down particularly on family carers, some of them dealing with drug and alcohol addiction among younger family members. Of all the messages to emerge from the Institute’s emerging work on regional and rural health, two are highly relevant to Commonwealth regions policy. The first is the importance of relevant levels of government working together to ensure we have a healthcare system delivering patient-centric and personalised care to regional Australians in regional Australia. Secondly, regional patients need a health care system which is easier and more straightforward to navigate than it is currently. Enhanced information sharing and communication between different elements of the healthcare system federal and state are just a starting point as are collaborative partnerships between government, community, practitioners and researchers to develop and implement effective behaviour change interventions for better health and better living. Is decentralisation necessary for regional development? While the Committee has adopted “a broad interpretation of decentralisation” it does not extend beyond the “the physical relocation of an agency from a capital city to a rural or regional town, and the distribution of regional branches or offices in non-metropolitan areas”. Missing in the broad definition is the constitutional reform which might result in political decentralisation or the address of vertical and horizontal fiscal imbalances in the national wealth. That there should be yet another inquiry and national discussion about regional development and decentralisation probing the role of the Commonwealth at the sub-national level reflects an historic incompleteness in our federal constitutional arrangements as reflections of the regional realities of Australia. Our national constitutional arrangement simply is not structured to champion regional development and decentralisation, principally because sovereignty is vested in the six states with their metropolitan capital cities and large territories covering at least several regional economies. Our state boundaries might reflect the early bases of European settlement, but do little to reflect the regional diversity and character of the country. With the spatial structure of government based in the major metropolitan coastal centres, political power, financial capital and population has been entrenched there. Newcomers to our country reinforce this consolidation by rarely moving beyond the major cities. And while representative parliamentary democracy is enshrined in our system of government, the limited number of states dissipates sovereignty and self-determination in the far flung corners of the continent, especially in northern Australia. In at least one sense… federalism has failed. The essence of the federal system is that the Commonwealth mainly after matters of national concern and the States look after matters of regional concern. As Australia possesses a wide range of climates and terrains, and as each region has a different mix of geographical assets and liabilities and sometimes a different people, and as each region has different traditions and maybe a slightly different set of values and priorities, there is a case for each major region possessing its own State government. For a land of this size, we do not possess enough States[xviii]. Even with a recasting of their terms of reference from planning to doing and implementation the outputs of the 52 committees of Regional Development Australia constitute a very slight imitation of what might have been the case had the number of states reflected our major regions. Arguably that would have been at least a doubling of the current number of six states. “Facilitation” and relying on goodwill and collaboration is very different to exercising state sovereignty. As the Smith Review found, the RDA initiative in itself has not prevented the Commonwealth and the States from “maintaining or creating other mechanisms to achieve similar policy and program outcomes”[xix] – code for duplication, competition and waste. If there is to be decentralisation of Commonwealth resources beyond Canberra or the metropolitan centres, it should reflect a national agenda that takes account closely of our future physical and human infrastructure needs for economic development, defence and security, as well as population and environmental sustainability. In other words, decentralisation should be more about targeted investment, partnerships, innovation and new networks than should it be about re-locating reluctant public servants. More compellingly, decentralisation should be reflective of new investment, new growth opportunities, and a diversified economy that involves a more complex array of regional capacities and economic activities – many of which have yet to be developed. Australia’s future will be better assured not so much by the presence of government offices outside the cities, but by sustainable economic development based in the private sector in regional Australia. Diversified investment in the growth sectors of regional Australia should be accompanied not so much by the removal of government agencies there, but by the establishment there of the next generation of agencies and institutions delivering nationally but headquartered regionally. Investment in education, health and STEM-related research and development, for example, will yield significant multipliers in crucial enabling areas like tertiary and professional services. As spelt out in the submission to this Inquiry by the Regional Universities Network (RUN), universities in Toowoomba, Rockhampton, Armidale, Ballarat, Lismore and Sunshine Coast boost substantially the value of their regional economies. The contribution made by their regional and international alumni is much more significant and is the real strategic impact as are the outcomes of the applied research partnerships and the innovation precincts that increasingly are features of our regional universities. So from the point of view of decentralisation and building a complex more diverse regional Australia, the impact of the regional universities is seen tangibly in their people. Organic regional institutions as distinct from urban transplants are more likely to deliver long-term because they will be “of the regions”. Governments at all levels have a crucial role to play in mobilising the resources and potential of regional Australia. Business decentralisation and investment can be assisted through the development approvals processes attended to especially by State Governments, where increasingly cumulative socio-economic impact assessment forms part of the process. Conditioning major projects especially with a related requirement to invest and establish in regional Australia constitutes a far better alternative to the current extractive FIFO model which sees little benefit left in the regions. What do we really want from our regions? If the answer is simply resources and food and fibre exports, it will be almost impossible to achieve sustainable regional development and decentralisation reflected in growing towns and cities across the map of Australia. Technology, robotics, automation, digitisation, big data analytics – these are the future artefacts of our primary industries with their highly technical but increasingly smaller work forces. If the answer is a regional Australia fully and diversely integrated into the national social and economic destiny, then there is much that should and can be done. What regions might reasonably expect by way of national commitment and investment will depend on which answer Australians prefer. A point of reconciliation in these two disparate questions is likely to be found if the Commonwealth Government structures its regional development policy away from broad brush to focus increasingly on the key or most important points of intervention. As CSIRO has identified, there will continue to be increasing socio-economic divergence between larger regional centres and small rural and remote communities. The knowledge economy will continue to spread and technological innovation and automation will further disrupt existing patterns of life, possibly even strengthening hub and spoke patterns of regional economy and settlement as digital connectivity underwrites more and more of the things of daily life. So smoothing regional income inequality and economic activity by populating poorer performing regions with public servants is not the most efficient allocation of resources. Part of the answer is not to confuse social welfare services with regional development policy. If we accept Government investment is most likely to yield long-term benefits when it boosts those regional attributes which strengthen resilience – and here the word “resilience” means not kicking back to the past but rolling forward to the future – then integral to that process will be depopulation in some places, limited social dislocation and personal mobility. In today’s fluid world such investment necessarily will also extend beyond jobs creation to account for the quality of life, livability and amenity provisions of attracting and retaining newcomers to regional Australia[xxiii]. That’s where the local government collaborative Regional Capitals Australia, and its 30 members come into play. The essential proposition of these leading regional centres spread across the country is that there is a mezzanine level to be exploited in the national development of Australia between the metro and rural/remote ends of the spectrum. That is, they argue, those regional centres with populations (or projected populations) sufficient to achieve critical mass, diversity and complexity in everything from infrastructure, to culture, services and networks. Promoting their “relaxed lifestyles, affordable living and low congestion”, these larger regional centres advocate for greater focus on the opportunities they present as platforms for leveraging future regional development[xxiv]. For the others the future is less clear. In many ways the challenge for those “regional capitals” such as Cairns or Coffs Harbour or Geraldton – well beyond commuting distance from the major metros – is not much different from the broader collective challenge for the regions. And so we arrive at the point where regional development is seen almost elementally in the attitudes, aptitudes and behaviours of regional Australians. If there are to be resilient regions, government should not do for us what we can do ourselves – individually or by working together cooperatively and collaboratively. Personal responsibility, private sector initiative and innovation and civic-mindedness are the attitudes and behaviours of social and economic resilience. In the context of the themes explored in this paper and acknowledging the essential role performed by government, the most constructive thing to be done by government in regional development will be to help our regions challenge themselves, think new things, explore possibilities un-imagined and renew on their own particular pathways to the future. [iii] Hon Warwick Smith AM (December 2016) Independent Review of the Regional Development Australia Programme Final Report, Australian Government, Department of Infrastructure and Regional Development, p vii. [iv] Collits, P & Rowe J (2015) “Re-imagining the region” in Local Economy 30(1) 78-97 p 78. [v] Collits and Rowe, p82. [vi] Bernard Salt, “United front key to happy end to tale of two nations”, The Australian 27 April 2017 p 24. [vii] Collits and Rowe, p90. [xiii] “Agtech’s untapped potential”, Queensland Country Life, 10 August 2017, p 8. [xvi] Regional Australia Institute (2017) “Transitioning regional economies: contribution to a study on the transition of regional economies following the resources boom”, Submission to the Productivity Commission 15 February 2017. [xvii] Garvan Research Foundation (2015) “Medical research and rural health – Garvan Report 2015” , p 8. [xix] Smith W, p 2. [xxii] Sorensen, T (2017) Testimony to the House of Representatives Select Committee on Regional Development and Decentralisation, Official Committee Hansard, 7 August 2017 p 7. [xxiii] Becker, K., Hyland, P., & Soosay, C. (2013). Labour attraction and retention in rural and remote Queensland communities, Australasian Journal of Regional Studies, 19(3), 342. Prev Can regional development policy be rational?